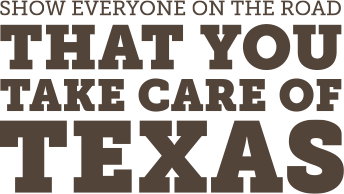 Congratulations to the winners of the first annual Take Care of Texas Video Contest! These students created unique, memorable, and positive videos that encourage Texans to protect our environment. A big thank you to our contest partner, Waste Management of Texas, Inc. who provided the contest prizes, GoPro camera packages and scholarships. Check out the winning videos!